The Hollywood actor and producer talks about voting. This election season, "Good Morning America" asked Americans to tell us "Why It Matters." We wanted to know what issues are inspiring people to head to the polls and participate in the democratic process for this year's midterms. Actor, playwright, filmmaker and comedian Tyler Perry says the divisiveness in this country is a main issue America needs to address this election. Divisiveness is an issue Americans need to pay attention to this year, Perry said. "No matter what your party affiliation, just say enough of all of this evil divisiveness," Perry said. "Democracy depends on well-educated and engaged citizens," Huntsman said. Some common themes have emerged in key races across the country. Does the GOP have a recruiting problem? Divisiveness is "such a huge issue for me" because "I'm looking at what's happening in the country." "It's a very very difficult and very very sad time," Perry said. 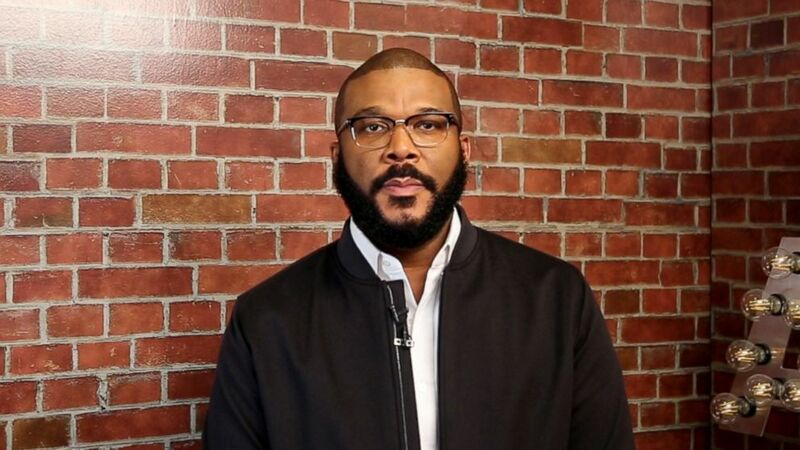 (ABC News) Tyler Perry shares his thoughts on why he's voting. Perry also addressed recent acts of gun violence, saying he thought past tragedies "would've changed things." "As I'm seeing people gunned down in houses of worship — I thought Sandy Hook would've changed things. I thought Orlando would've changed things. I thought Parkland would've changed things," Perry said. "I'm hoping at some point something changes." Ultimately, Perry said he believes what can cause change is going to the polls and voting. "What I do know is that your vote matters and it can allow a lot of things to change," Perry said.